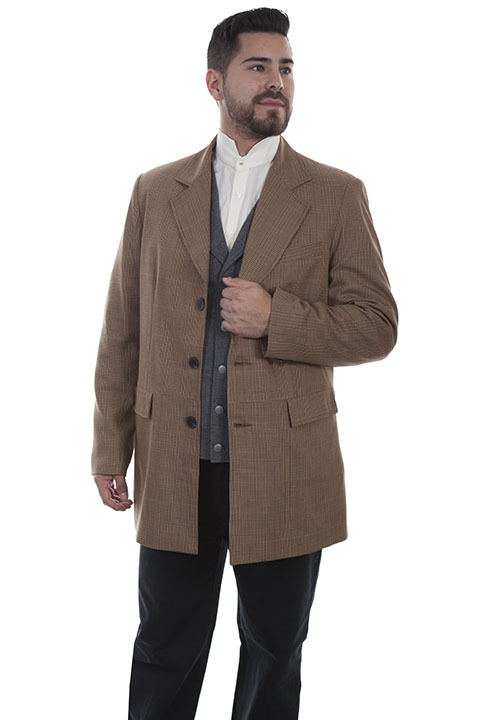 This rich plaid town coat features a three button front, notched lapels and two lower flap pockets. The back features a pleated center vent and two buttons. 75% wool and 25% viscose.